How do you decorate for a combo little boy and baby girls’s party? 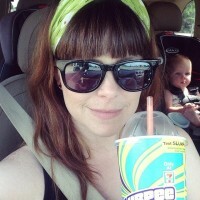 I was faced with that dilemma earlier this summer, and wasn’t sure what to do for a theme. As usual, a walk around the craft store gave me an idea. 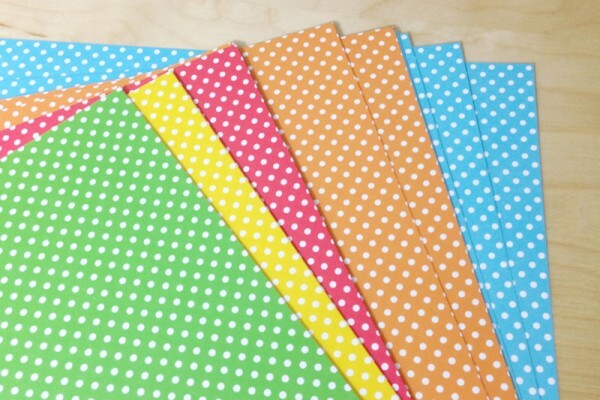 I saw a pack of polka dot card stock in all sorts of colors & picked it up for just $4 with a coupon I happened to have. 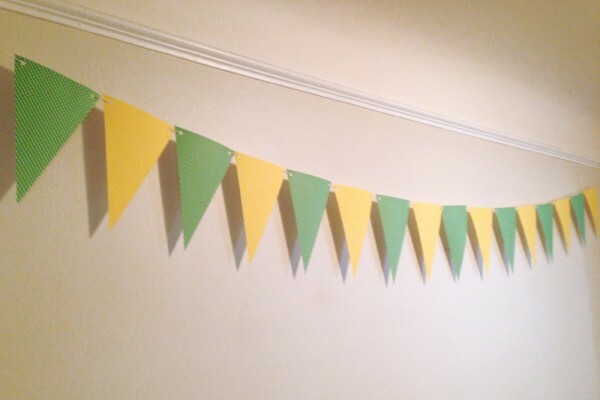 I made a quick and easy bunting using the green and yellow polka dot paper and the butcher’s twine in our kitchen. Each 8 1/2 by 11 sheet made 4 triangles with a couple slices in my paper cutter, and it was finished in less than a half hour. 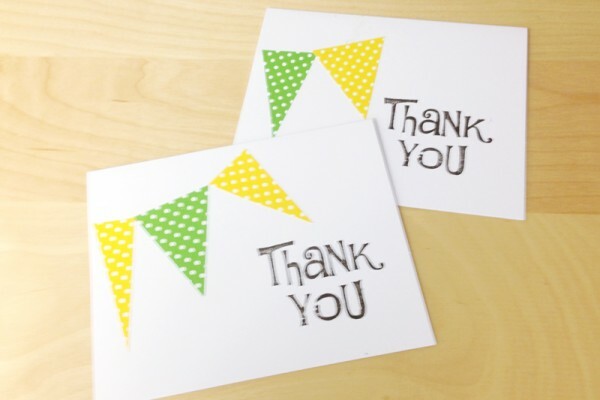 Then I cut tiny triangles out of another sheet of each color and made matching thank you cards with some plain white card stock, basic envelopes and a thank you stamp I had in my craft stash.